When I read this blog post -- Un-Screwing The Writer -- I immediately thought of Dean Wesley Smith. Those of you who follow Dean's blog know why. The video is short (3 mins or so) and eye-opening. It is of sci-fi legend Harlan Ellison ranting about the assumption that writers don't need to be paid for their work. 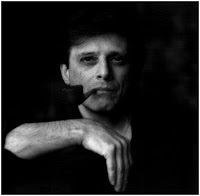 I read what I've just written and think: Of course writers need to get paid for their work, it seems glaringly obvious, but as Harlan Ellison notes, all too often it doesn't happen. This was great, though now I feel a little like an underpaid, undervalued- how did Ellison put it? Oh yeah, I feel like a cheap whore. That's tough. Not without truth, but still tough to hear. But giving away writing for free, that's what we need to do, right? A give and take that will hopefully come back to the writer in the form of volume rather than large, up-front payments. It's interesting you say that; what else is blogging but giving one's writing away for free? I thought about that for a bit after I put up this post. But Ellison is a legend, a veteran of the craft. He isn't just starting out (like me), he has been through the school of life and it has shaped him into a mature, skilled, writer. I'm just starting out, I'm still learning. You see this number scattered around the internet: 1,000,000. The idea being that to reach competence in writing that you have to write a 1,000,000 words. I'm probably still on the upward side of that hike, just crawling up to the summit.